We recently released an update to the MicroProfiler tool. Now you can now profile server-side code on live servers! This should make it easier to diagnose performance issues and improve the responsiveness of your game. 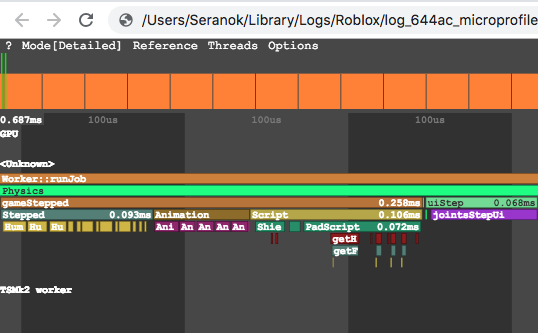 This is similar to profiling client code except that you need to pro-actively start recording performance and the output will be a one-time dump of server performance information that you can view through a web page. You will see the output path for the generated HTML file. Navigate to that file and open it in your browser to see a detailed breakdown. Let us know what you think! Thanks to @24RightAngles for implementing this. Note that we will be adding documentation to the Developer Hub in the future. Is there any chance to get an in-game view in the future, as is possible with the client microprofiler? There are no plans to make this an in-game view. Doing so would require streaming the data from server to client which is non trivial. Generating an HTML dump was a much simpler way to achieve this, with the downside that the developer has to record performance for set period of time and can only access it through a web page. It appears I’m unable to close the window at the top left corner, whenever I attempt to put my mouse over the close button, another section of the window appears on top of it. This happens on both Chromium and Firefox Nightly for me. Other than that, I believe this is a very nice feature that will come in handy on finding performance issues. Is there any chance that the TextLabel showing the path could be turned into a TextButton that on clicked will open the file in explorer, or maybe a open/go to file button on the side? This would be so much easier than going to the path and searching for it in a large list of other logs. Definitely a fan of this feature, before we mostly had to make estimations on where performance dropped based off of other data we were given. A feature I’d really like to see in the near future is a client sided command bar, which can only be accessed by those with editing permissions of course. Quite useful for security and bug testing. This is great! The updates just keep getting better. 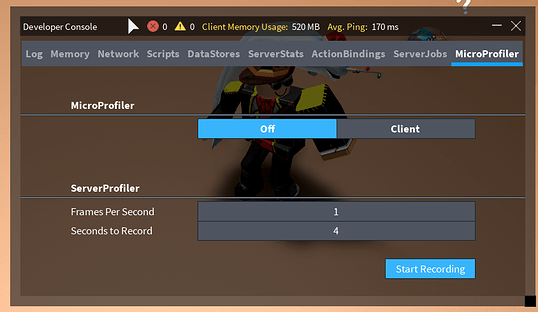 This makes server optimization so much easier. Thanks to the team who made this.